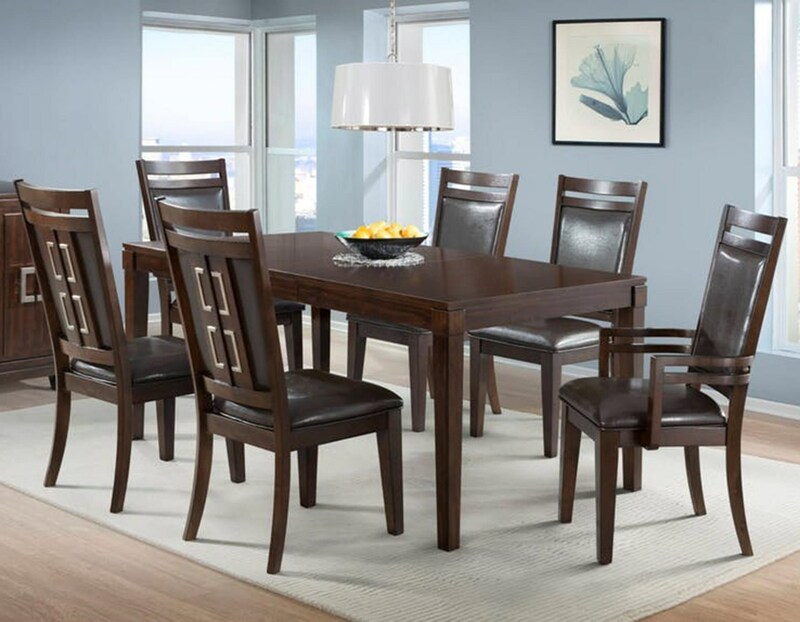 This dining room table and chair set is sleek and simple, featuring a dark mahogany finish and square tapering legs. 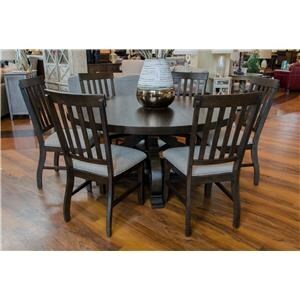 The legs of the table fit neatly into the table top, forming interesting interlocking corners. 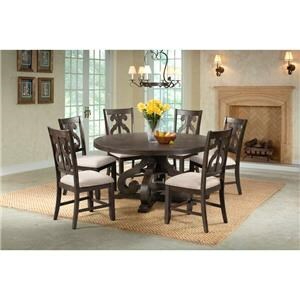 One 14 inch removable leaf extends the length of the table from 60 to 74 inches. 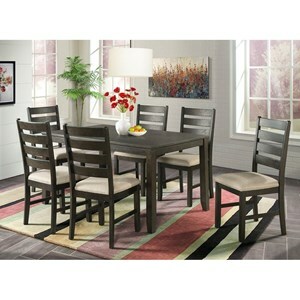 The chairs have espresso faux leather upholstery and are accented with a square metal design. 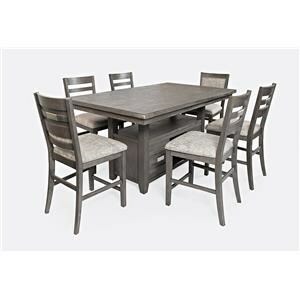 The Rodney Contemporary Dining Room Set by Elements International at Great American Home Store in the Memphis, TN, Southaven, MS area. Product availability may vary. Contact us for the most current availability on this product. 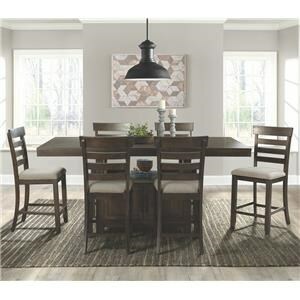 Clean designs and sleek dark finishes are accented by silver square details in this contemporary dining collection. 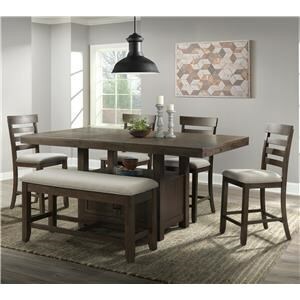 The refined table can easily accommodate two more guests with a removable leaf. The server is perfect for storing plates and silverware and has a wine bottle storage rack. 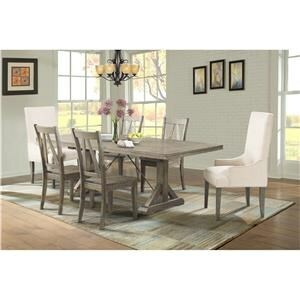 The Rodney collection is a great option if you are looking for Contemporary Casual furniture in the Memphis, TN, Southaven, MS area.